THE GOVERNMENT’S PLAN to introduce a minimum price for alcohol has suffered a major setback after an advisor to the EU’s top court said the laws could be illegal. In a decision today on Scotland’s move to set a floor price on alcohol, the European Court of Justice’s advocate-general Yves Bot said the scheme was in danger of breaking EU free-trade rules. He said it could only be introduced on public-health grounds if the government could show that no other measures – like tax increases – could better deliver the same results. While the advocate’s opinion isn’t binding, in practice the court rarely takes a different view to its chief advisor. The ruling effectively means national governments will have to prove minimum unit prices are the most-effective harm minimisation lever before such regulations could be declared legal. The Scottish parliament became the first in the EU to first pass minimum pricing laws when it voted for the measures in 2012. Its plan was to set a minimum price of 50p for every unit of alcohol as part of measures to cut problem drinking. They are yet to be introduced after whisky producers and major wine-producing member states like France and Spain challenged the scheme. Health Minister Leo Varadkar announced in February that Ireland would follow suit to bring the country’s alcohol-consumption rates down to the OECD average. An Oireachtas joint committee recently backed the plan, calling for a minimum unit price on alcohol of up to €1.10. That would push the floor price on some cans of beer above €2, the average bottle of wine over €8 and bottles of spirits over €20. The likely EU court ruling would force the government to either rewrite its plans or show why it had rejected all other taxation options first. Varadkar said he was “encouraged” by the advocate’s opinion as it indicated minimum unit pricing “may be compatible with EU law if it can be shown to be more effective than other alternative measures”. Therefore, I will be asking my officials to study his opinion and its implications as we wait for the final judgment of the court which is expected towards the end of the year,” he said. Scottish First Minister Nicola Sturgeon said the opinion hadn’t blocked minimum unit pricing outright, rather it set out the tests that national courts would need to apply before approving the restrictions. She said her government remained convinced minimum unit pricing was the best measure to “reduce the harm that cheap, high-strength alcohol causes our communities”. The Vintners’ Association of Ireland, which represents publicans and has been campaigning for minimum unit pricing, called the court’s indication a “big blow to the industry” and one that was “absolutely nonsensical”. But Alcohol Action Ireland said there was nothing in the opinion to stop the Irish government going ahead with its plan, which could have “a major impact in terms of reducing alcohol harm in Ireland”. Email “The EU's top court has punched a hole in Leo's plan for higher alcohol prices”. 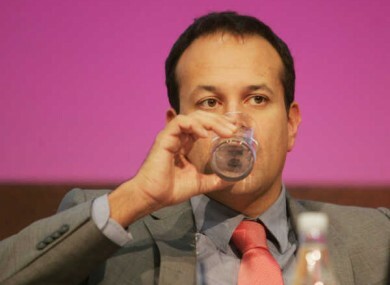 Feedback on “The EU's top court has punched a hole in Leo's plan for higher alcohol prices”.